Optical crystal hexagon award SY2032. 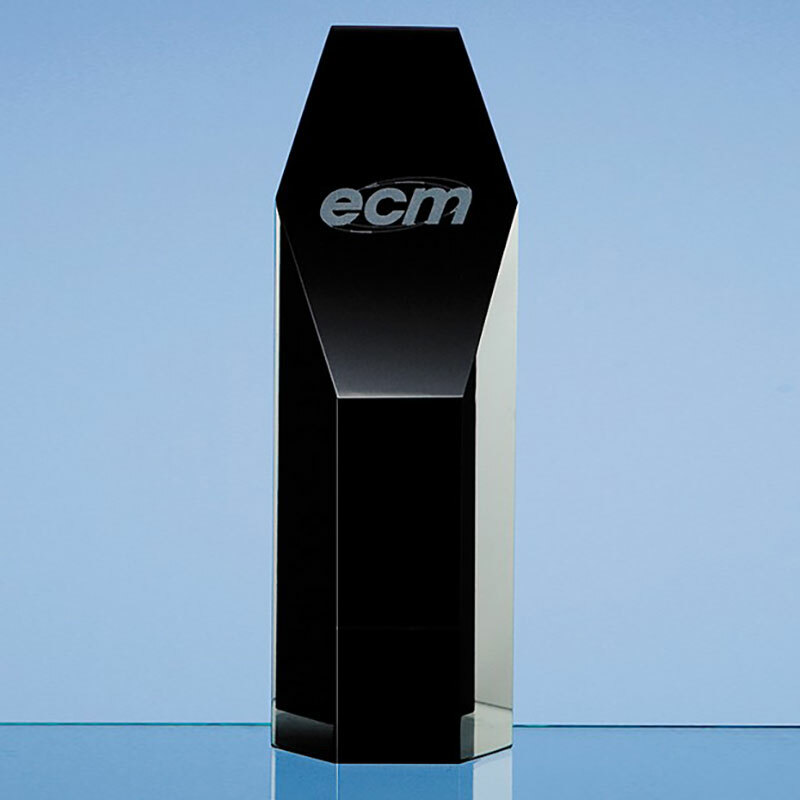 A fine quality optical crystal award in striking onyx black colour, 7.5in tall and featuring a hexagonal tower design with diagonal plane cut from the top. Supplied in a black foam lined presentation box. Black is the new ... err ... black! These stylish onyx black awards are hand-crafted in flawless optical crystal. Standing 7.5in tall, they feature a hexagonal tower with a diagonal plane cut from the top. This plane offers an ideal space for customising, and these superb awards are offered here with engraving and/or colour print options. Popular as corporate awards, these optical crystal hexagon awards are also suitable as sports awards or commemorative items. Each award is supplied with a black foam-lined presentation box.